I admit it, most things don’t really get to me. I have been quite a few places and seen quite a few things and usually my response is…yep, that was neat…where are we having dinner? There are however some things that have blown my socks off. The Sequoia National Forest is one of them. 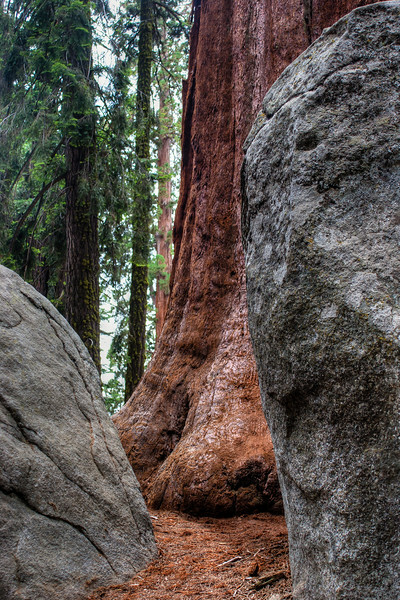 Specifically I visited the Sequoia’s of Kings Canyon. I say visited because there is a real spirit to this place. It is one of the places in the world I have felt life. Standing in the presence of these beautiful gargantuans is a truly humbling experience. Thinking now, years later, of their majesty makes me misty eyed. The forest if such a complex ecosystem and it is constantly being threatened from all sides by pollution. Posted in California, HDR Photography, Three Rivers, Travel, USA and tagged California, Kings Canyon, national forest, sequoia by Bri Duncan.